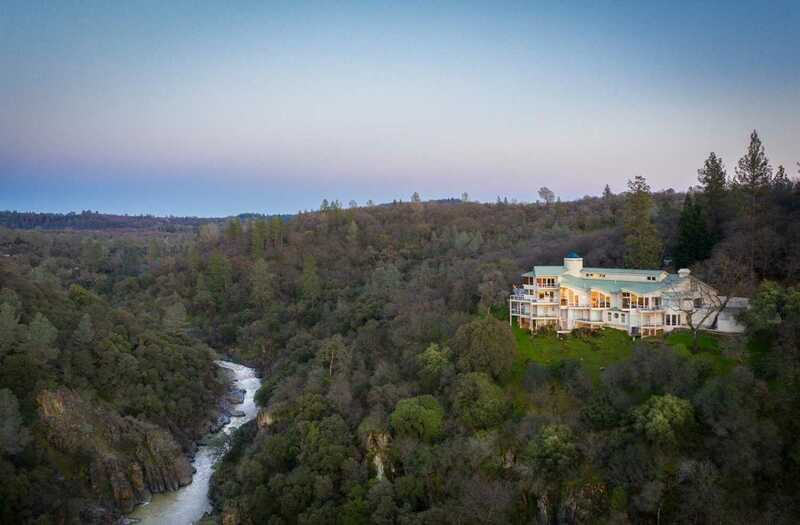 Eagles Nest is the most unique estate in the Sierra Foothills. Overlooking the Bear River, with river views from almost every room, this gorgeous 10,000+- square foot home has left nothing out. The estate is off a private road and rests on 150+- acres with the entire north boundary being the Bear River. The privacy and seclusion seems impossible only 10 minutes from any amenity. This remarkable property is suited for any recreation and entertaining. The 4800sqft barn” is designed with a full commercial quality kitchen, sound and lighting systems better than most nightclubs, and beautiful patio overlooking the pool, waterfall and pond. There is a sport court, pitch and putt golf course, first class dog kennels and horse paddocks. To the west is hundreds of acres owned by Placer land trust, ensuring privacy, but available for recreation. This truly one of a kind property offers every facet of luxury. Please, send me more information on this property: MLS# 19019845 – $7,990,000 – 11391 Overhill Drive, Auburn, CA 95602. I would like to schedule a showing appointment for this property: MLS# 19019845 – $7,990,000 – 11391 Overhill Drive, Auburn, CA 95602.